The respectable Sennheiser HD 598 utilizes an over-ear, open-back design. 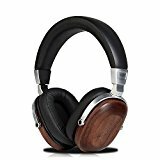 It is easily one of the best headphones for classical music listening in the comfort of your own home. It offers a broad range of clear tones, from clear and smooth highs to warmer, richer mid-range thanks to its E.A.R. tech drivers. The bass is a bit on the neutral side though, as it focuses more on clarity and less on raw impact. An amp will help bring out more ‘oomph’ if your selections include bass-heavy pieces. 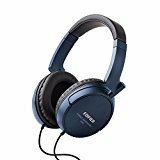 The open-back design, however, means that the HD 598 allows a lot of noise to move through. This, in turn, means that it is best used in a quiet setting away from crowds. The full review for Sennheiser HD 600 here. 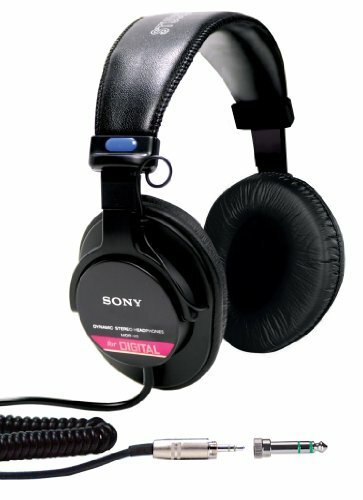 The Sony MDRV6 is an over-ear, closed back set of headphones. It is a good pick thanks to its dedication to ‘true flat’ sounds, and the neutrality of the tones makes individual instruments in an orchestra stand out. This is particularly useful for budding composers that want to carefully analyze the pieces they’re listening to. This comes at the cost of impact, which may turn off audiophiles that are looking for a more dynamic listening experience. Still, pairing the MDRV6 with an amp allows for a more striking range of highs and lows to improve your listening experience. 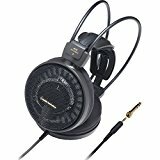 Even on its own, it performs especially well when compared to other headphones and earphones for classical music in its price range. The relatively affordable price tag makes it approachable enough for the average listener to work with as well. Just don’t miss the other review for Sony MDRV 150 model. This closed-back, the over-ear set of headphones is a balanced choice for listeners of all stripes. The design prevents sound bleed, while its collapsible earcups come with a 90-degree swivel for easier transportation and handling. It even comes with three detachable cables mixed in a 1.2-meter straight cable, a 3-meter straight cable, and a 1.2-meter coiled cable. The ATH-M50x produces flat, clear tones which are great for rich symphonies with numerous instruments playing all at once. Even the bass tones are more nuanced and less overpowering. If there’s one drawback, it’s that the sound quality of the ATH-M50x degrades significantly when plugged into low-power devices like the average smartphone. It’s a problem easily resolved with an amp, which is often not an option for the avid traveler. 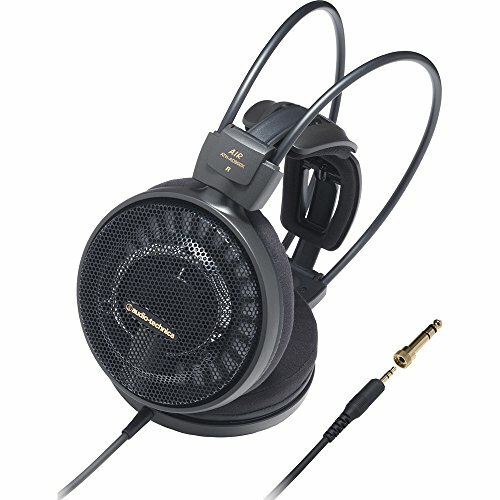 Still, it’s a good all-around choice for classical music headphones, especially at its price range. The Crossfade LP uses a closed-back, over-ear design. It sports an industrial vibe thanks to the protective plates and bold screws holding said plates in place. There’s a good reason for this, as the Crossfade LP emphasizes durability and reliability. Reinforced cables, steel frame, metal shields—all these make the headphones tougher. It’ll survive damage that would wreck other headphones. The added weight can be an issue for long-term use, though the thick padding helps alleviate that problem somewhat. As for sound quality, the Crossfade LP offers a more forceful and striking range of lows, mids, and highs. All this culminates in a pretty good set of headphones for classical music to use while you’re busy and constantly in motion, like working in a shop. 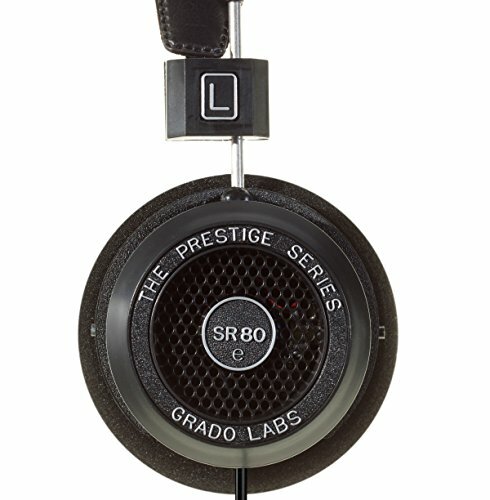 The SR80e from Grado utilizes an open-back, on-ear design. The minimalist look belies the storied pedigree of Grado in the headphone business, and is indicative of the company’s dedication to sound quality. The bass is deep, the treble is clear, and all sounds are generally crisp and distinctive. This clarity is preserved even when using amps, creating vibrant bass tones that lose none of their quality even as they thunder into your eardrums. 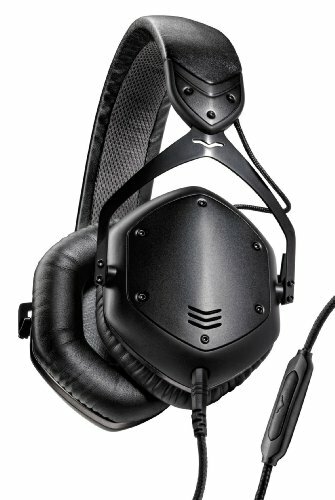 It is worth noting that the open-back, on-ear design of the SR80e bleeds a lot of music. At the same time, the somewhat loose grip of the basic foam pads makes it very easy for the headphones to slip off. 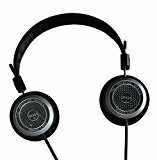 These are a pair of headphones best used while seated and in a quiet, isolated environment. 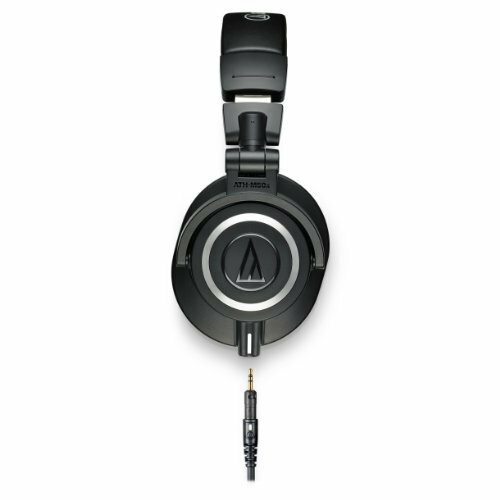 Audio Technica’s ATH-AD900X is an open-back, over-ear design. It has a clearer and brighter take on tones, especially on the higher end. The treble is nice and sharp, while the bass is on the lighter side as well. There is less impact, which may reduce the ‘oomph’ of bass-heavy compositions. On the other hand, the clarity helps make it easier to appreciate any interplays of highs and lows. The ATH-AD900X also emphasizes comfort thanks to its lightweight aluminum frame. You could wear these for hours on end without being aware of it, which is a big plus for long-term use. All this makes it an easy recommend for listening marathons where you want to appreciate the nuances of lighter compositions. 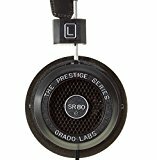 The Grado SR325e sports an on-ear, open-back design. The design maintains the simple appeal of other Grado entries, but the devil is in the detail with the SR325e. The stitched leather band and aluminum chambers are especially luxurious to the touch. If there is one complaint, it would be Grado’s insistence on using stiff foam earpads that detracts from the luxurious appeal. As for the sounds, the SR325e takes a balanced approach to tones. This is especially evident with the bass, where it has just enough impact for a satisfying punch without overpowering individual notes and breaking up complex melodies. The on-ear, open-back design means the SR325e is best used in the privacy of your home or studio. Its emphasis on clear, bright tones makes it a good pick for appreciating a wide range of compositions—nuanced and powerful alike. AKG’s Q701 series is an open-back, over-ear model that is endorsed by famed producer Quincy Jones. Celebrity endorsements are usually gimmicky marketing ploys to help gloss over huge markups for low-quality headphones. However, the Q701 is an exception to the norm. Its open-back design and patented Varimotion diaphragm yields soundstage that is absolutely spot-on. This makes it easy to hear the positions of the different instruments in a composition. This also means that the Q701 emphasizes clarity over impact, allowing the listener to easily discern instruments as they play with and against one another. All this makes the Q701 an easy pick for those who want to virtually immerse themselves in a playing orchestra. 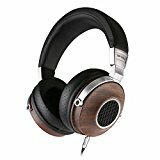 The X2/27 Fidelio is an open-back, over-ear set of headphones. Its warmer notes add a vibrancy to the bass range that is powerful enough to be striking yet restrained enough to clearly define individual notes. The X2/27 Fidelio also creates a particularly spacious soundstage, which can create a hair-raising audio experience when coupled with the vibrant take on bass. Treble is a bit of an issue though, as higher notes tend to lose coherency the higher and louder they go. Luckily enough, the X2/27 Fidelio works fantastically well with amps, compensating for the treble disruption. 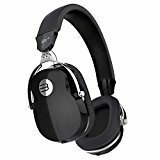 Couple this with excellent soundstage, and an amped X2/27 Fidelio becomes one of the best headphones for classical music that leans more toward the dynamic and impactful. 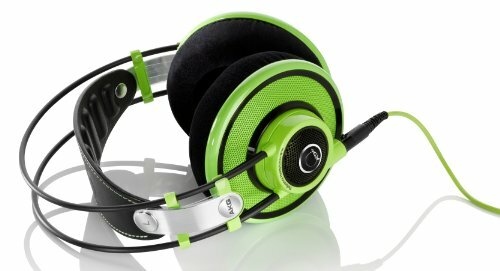 Last but definitely not the least, the KG K712 Pro is a set of headphones utilizing an over-ear, open-back design. Its tones are more on the flat spectrum, with the treble and high-mid tones standing out just a little bit over the rest. The soundstage is excellent as well, making it easy to place instruments in an orchestra as you listen to recordings. The tradeoff is that the flat tones do not have as much impact as other warmers, more dynamic headphones out there. Another point of concern is that the K712 does not play nice with low-powered playback devices like your average smartphone. This is not a problem if you work with a complete sound system or computers with a solid sound card. An amp will also help reduce distortion and harsh tones on low-power devices.